Guest Blogger: John Demers. He is a strategic marketing consultant with over 35 years of experience in direct to consumer and B-to-B marketing and engagement experience, spending the last 17 years in the health care sector. Let’s face it, prescription medications can help people live longer, healthier, and more active lives. Drugs that treat chronic conditions like high blood pressure, diabetes, and high cholesterol have played a significant role in reducing many life-threatening and costly acute events. In fact, my primary care doctor once told me that cholesterol medication is the closest thing we have to a fountain of youth. According to the CDC, in the past 30 days, 90% of people over 65 have taken at least one prescription medication, 67% took three or more prescription medications, and 41% took five or more prescription medications. Yes, prescription drug coverage is very important to seniors, but so is cost. What good is broad coverage if the member can’t afford the medication? So how do you develop a prescription plan that stands out to prospects and retains existing members without breaking the bank? The answer to this question isn’t so simple. Lifestyle changes can improve or even reverse some chronic conditions, lessening the need for some medications, so it’s important that health plans develop engagement programs that encourage members to do things like exercise more and change their diet. Participation in these programs will lead to fewer prescriptions written and ultimately lower costs for the member and the health plan. But engagement programs take time and effort to have a real impact. It is easier to keep living unhealthy lives and pop a pill rather than go on a diet or to the gym and workout. According to Deft’s 2018 Medicare Shopping and Switching Study, of those who had a standalone Part D plan in 2017, MedSupp members were significantly more likely to shop for 2018 drug coverage than OMO beneficiaries. And brand drug costs continue to be a big driver of switching behavior. The no-brainer, push generics. Most health plans have done a good job implementing educational and step therapy programs to move members off brand medications. If you use a pharmacy benefits manager (PBM), work closely with them to maximize rebate opportunities on certain high-cost, highly utilized brand-named drugs, and even consider exclusivity within a class. For example, take Humalog (lispro) and NovoLog (aspart), both rapid acting insulins for Type 1 and Type 2 diabetes. Clinical trials have shown that few meaningful differences exist between the two, and most diabetics know this. Offering one or the other exclusively can yield a significant savings. Closely weigh the benefits and drawbacks of the number of medications in your formulary. PBMs typically offer multiple options to choose from. Some other options include, tiering with consideration on effectiveness, preferred pharmacy networks, mail order fulfillment, and deductibles. What are the demographics of your market and membership base, and what concessions will they tolerate? What does your competition offer? What medications have the greatest impact on medical costs? What are the most prescribed medications? What are your costs savings opportunities? How will your decisions impact the Plan Finder on Medicare.gov? If you are trying to lower member costs, limiting formularies, offering exclusivity, moving to generics may be the right thing to do, but it can come at a price if shoppers don’t clearly know how your decisions benefit them. The Plan Finder on Medicare.gov is a terrific tool for people to compare plan features, benefits, and costs. 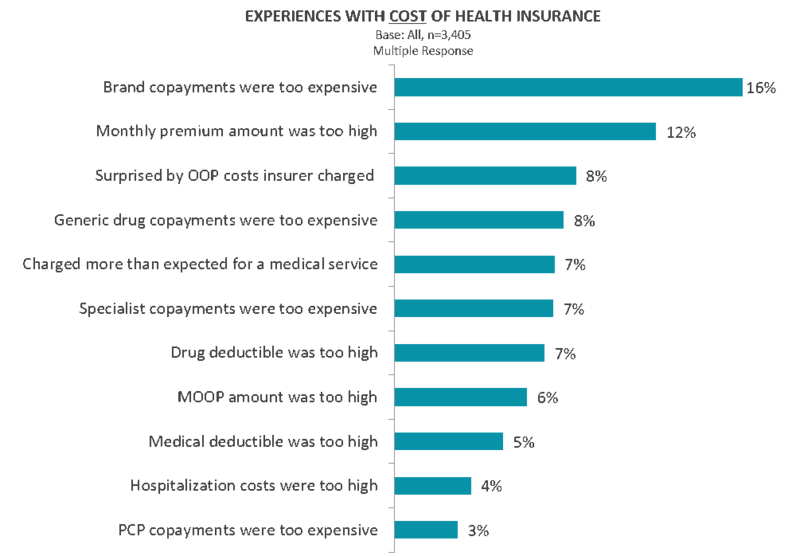 But unless the shopper is savvy, the Estimated Annual Health and Drug Cost delivered by the tool can vary significantly depending upon the data entered. Limiting formularies and setting up exclusivity arrangements to reduce member costs can actually have a negative consequence on the tool’s Estimated Annual Cost because it does not display any options for alternative generics or lower cost brand equivalents. The tool asks for the medications you take. If someone searching loads in Humalog, but you have an exclusive arrangement and only cover NovaLog, the cost to the member for Humalog calculated for the Estimated Annual Health and Drug Cost is Medicare’s predetermined “retail” cost. This retail cost would be significantly higher than NovaLog, your exclusive comparable drug. This single scenario could increase the Estimated Annual Health and Drug Cost by thousands of dollars for your plan. The bottom line, prescription medication coverage is VERY important to seniors and it must be a key element of your Medicare strategy. It’s critical that your decisions aren’t made in a vacuum. Medical management, pharmacy, your PBM, and marketing all need to be at the table from the beginning to ensure the full impact of your strategic decisions is thoroughly assessed from a member health, profitability, brand, and enrollment perspective. You’ve spent a lot of time and effort creating Prescription Drug benefits to maintain or improve your members’ health while keeping costs down. How you roll out these benefits to prospects, existing members, and your provider network is just as important. You need to invest in powerful omni-channel awareness and educational efforts to ensure your efforts are clearly understood so you build trust in your membership, and prospects choose you over your competition. Learn more about Deft’s Senior Market Insights Service. If you would like to reach John to discuss how he can help you refine your Medicare strategy call 518-221-2784 or email him at johndemers57@gmail.com.